“There is not a single soul in the universe that is not a devotee of Lord Ram.” It is a different matter that we may not know the path to attain Him, and thus, we may be endeavoring in the wrong direction. Yet, the fact remains that subconsciously we do believe in God. If someone says that he has resolved to oppose God, then he is proved to be a believer in the existence of God. In our history Hiranyakashipu vehemently opposed God. Opposition is always for any existing power. If God does not exist, how could they oppose Him? It is also a historical fact that those demons, who opposed God, finally attained Him. The reason was that they had fixed their minds on God with feelings of great enmity. 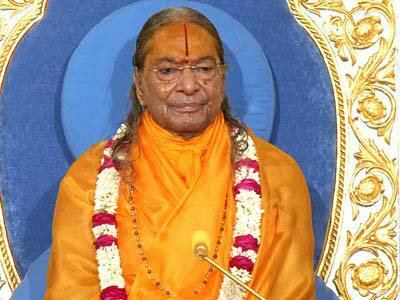 The Bhagwatam says that total absorption of the mind in God with any kind of emotion, favorable or unfavorable, leads to God realization. It tells that if one unites his mind with God through any kind of emotion like lust, anger, fear, affection or friendship, the result will be God realization. Thus, the vehement opposer of God necessarily believes in the existence of God. Someone might say that he accepts the existence of God, but ask what is the necessity of worshipping Him. Just as we have the president of a country, God would be the president of the whole creation. We don’t worship our president. Such people should know that our relationship with the president of the country is very formal, while our relationship with God is unique, loving and eternal. Further, we are naturally attached to our self interest. Whatever fulfills our self interest, we naturally fall in love with that. This is our experience. We desire for unlimited and everlasting happiness. Such happiness could only be attained through God. Thus, realize the importance of human life and understand the true path to God, so that you may attain your desired goal of experiencing the supreme Divine Bliss.